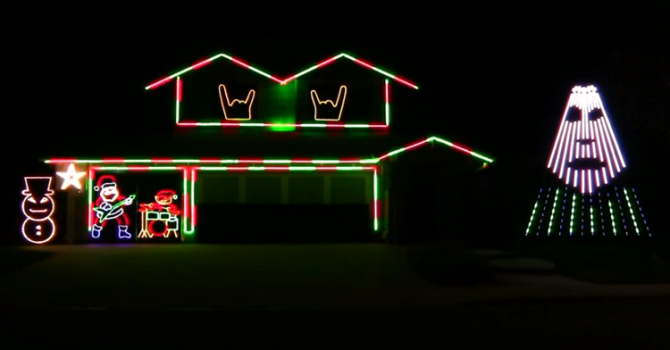 Bob originally came into limelight few years ago with his metal-themed Christmas lights display that was set to Slayer’s classic track Raining Blood in 2009. 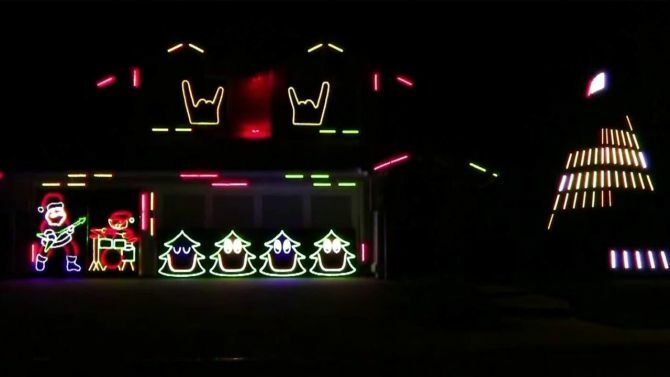 After that he added further Slayer tributes every year during holiday season. But this year has focused on the tracks of Slipknot and Disturbed. On the other hand, the Disturbed tribute is set on the track Stricken from their album Ten Thousand Fists, released in 2005. Both the light shows are really headbanging inducers. Just check out the given videos, if that doesn’t make you headbang this Christmas, nothing will.